Apple has fixed falling icicles at its Chicago Apple Store with a software update. Apple has responded to the recent cold weather in Chicago by “re-programming” the roof of its new Apple Store on Chicago’s waterfront so that it doesn’t form dangerous icicles. 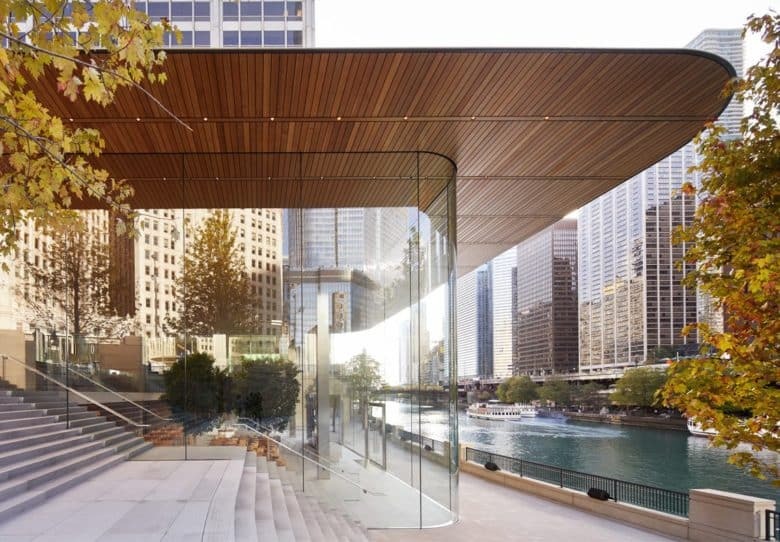 As we reported at the end of last month, Apple’s flagship Chicago Apple Store on North Michigan Avenue recently ran into problems when the roof, designed to look like a giant MacBook, seemingly struggled to cope with the snowfall — resulting in the closure of the retail store’s outdoor area. The story followed a previous mishap at the Apple Store, in which Apple had to agree to dim the lights during the fall months due to deadly bird strikes. According to the volunteer group Chicago Bird Collision Monitors, dead birds were found at the Apple Store site, due to their propensity for becoming disoriented due to the lights, before crashing into the walls. However, on this occasion, it appears that Apple’s architects didn’t didn’t miss out on a fundamental fact about life in Chicago — such as the fact that it occasionally snows. Instead, the explanation for the problem is just the fact that the in-built heating system in the roof was not working correctly. Apple has said that this will be fixed in a software update.